Preview: Lean Year at Black Iris Gallery on Oct. 25 | Music | Style Weekly - Richmond, VA local news, arts, and events. 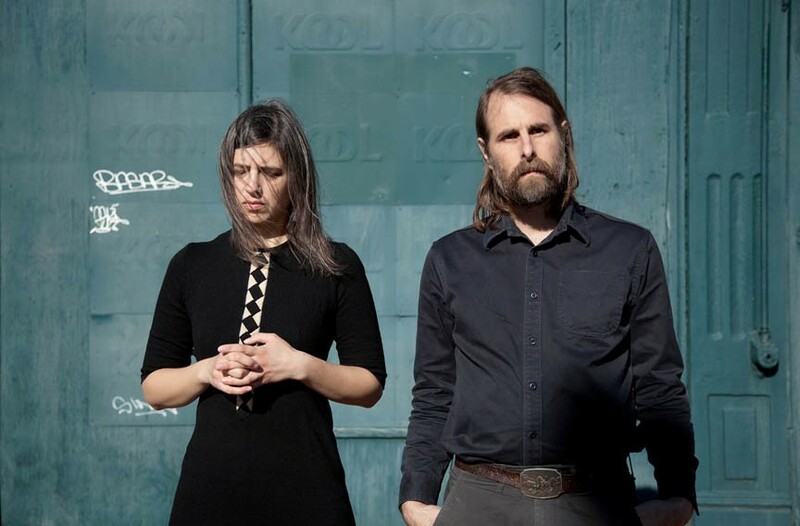 Singer and multi-instrumentalist Emilie Rex and Rick Alverson of Lean Year, who are based in Church Hill. Their languidly beautiful debut is inspired partly by '60s artists such as Karen Dalton and Fred Neil. A determined-looking yet seemingly panic-stricken woman trudges through a menacing bog lined with gigantic trees. She might be fleeing unseen captors, the last survivor of a catastrophic event or the lone participant in some kind of ritual baptism. Filmed in the swamps 40 minutes outside Richmond, the setting of the riveting and beautiful music video accompanies the song “Come and See,” the first single by locals Lean Year, and you’d be hard pressed to find a more fitting first impression of the band’s moody, evocative music. If Rex and Alverson’s names aren’t familiar, it may be because Alverson took a 10-year break from music to direct music videos for such artists as Oneohtrix Point Never and Angel Olson, and to write and direct several well-received films, including 2012’s “The Comedy” and 2015’s Golden Leopard-nominated “Entertainment.” Rex was, until recently, building a career in academia as the assistant director of sustainability at Indiana University. As with many musical projects, Lean Year resulted from a combination of timing, kismet and inspiration, though it was by no means quick. The sound of Lean Year is a refreshingly modernized take on the sort of slinky slow core exemplified by ’90s bands such as Codeine, Bedhead, Low and Spokane, the latter Alverson’s previous group, but with a stronger emphasis on lyrics. Occasionally suggesting Portishead scoring a spaghetti Western or a minimalist chamber-jazz take on Cat Power circa “Moon Pix,” the album’s mix of acoustic and electronic instruments is rendered transparent by crisp, clean production: Rarely have so many instruments so tastefully occupied the same space. It is this wide range of tonal color -- courtesy of piano, violin, various horns, upright bass and bell-like electric guitar arpeggios -- that creates the rich textures over which Rex adds vocals as dazzling as they are haunting, with occasional assistance from Alverson. The band’s lyrics are similarly impressionistic: thoughtful and tableauxlike, they cover subjects as wide-ranging and unexpected as the music itself. The album’s highlight, a balladic “Sonja Henie,” was inspired by the titular figure skater, movie star and politically dubious figure. “The song is rooted in some of the darkness surrounding her, and the really sharp double-edged sword of ambition,” Rex elaborates, careful to note that the song is less a biographical sketch than a backdrop through which to explore notions of disenchantment. “The dissolving idea of the American dream, and the idea of being caught in the narrative that you didn’t necessarily intend to be, but you’re culpable for,” Rex says. “[Henie] went to some really dark places in order to be successful.” At the end of the hypnotic song, Rex and Alverson intone the title like a mantra, as if attempting to conjure the tragic Henie’s spirit via musical séance. Lean Year performs on Wednesday, Oct. 25 with Robert Donne at Black Iris Gallery, 321 W. Broad St. 7:30 p.m. $6-$10.